New Brunswick, N.J. – Sickle cell disease is a common inherited blood disorder, affecting an estimated 100,000 Americans of different racial and ethnic groups, according to the Centers for Disease Control and Prevention. In the United States, one in 365 African-American newborns and one in 16,300 Hispanic-American newborns has the disease. Other people disproportionately affected include people of Mediterranean and Middle Eastern descent, and Asians. In sickle cell disease, the red blood cells become hard and sticky and come to resemble the letter ‘C' or a crescent moon. The condition is named for a sickle which is a type of farm tool with this shape. When these misshapen blood cells travel through small blood vessels, they get stuck and clog the blood flow. Symptoms of the disease include severe pain; fatigue; and jaundice. People living with sickle cell disease are at risk for organ damage, serious infections, and anemia. More than two million people carry the gene that allows them potentially to pass the disease on to their children. People who inherit one sickle cell gene and one normal gene have the sickle cell "trait." About one in 13 Black or African-American babies is born with sickle cell trait. People at highest risk for having this trait are those whose ancestors come from Africa, South or Central America, the Caribbean, Mediterranean countries, India, and Saudi Arabia. There are effective treatments that can reduce symptoms and prolong life, but early diagnosis and regular medical care to prevent complications are key. The Pediatric Hematology/Oncology Program at Rutgers Cancer Institute of New Jersey is a component of the Rutgers Robert Wood Johnson Medical School Regional Comprehensive Sickle Cell Center, which serves as a statewide referral program. Here we have the ability to treat both pediatric and adult patients impacted by sickle cell disease through well-proven therapies and cutting-edge clinical trials. In managing this specialized care we know people affected by sickle cell disease can enjoy most of the activities that other people do. Sickle cell disease is a life-long illness – the severity of which varies widely from person to person. 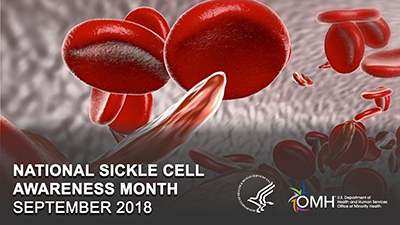 By preventing infections, developing and maintaining healthy habits and undergoing regular checkups, those with sickle cell disease can lead full lives. 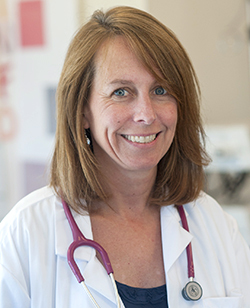 Beth Savage, MSN, CPNP, CPON, is an advanced practice nurse in the Pediatric Hematology/Oncology Program, who manages the care of sickle cell patients at Rutgers Cancer Institute of New Jersey.